Nearly at the end of January and I have suddenly realised that I haven't started a new out and about page! The New Year saw a massive surge in popularity for Belly Dance, with a large number of people booking onto the first Beginners Crash Course of the year. Seeing so many people in my room took me by surprise on week one despite me knowing how many were coming. As a result of the above, I am now in the position to introduce regular weekly beginners classes again which I am so excited about. New students are always a joy, but being able to continue teaching and watching people grow and develop is also very rewarding for me. More information on these are available on another page. 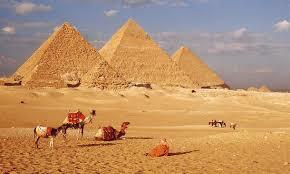 I am also looking forward to visiting Cairo in what is a very long overdue trip. I am going with dance friends and am very excited but also a little scared as it has been so long. I am sure to have a great time and will come back with lots of ideas (hopefully), but I can't help feeling guilty leaving the family behind. I am once again looking forward to giving my talk again at several Women Institutes who have booked me this year. These are always fun and I look forward to doing them. I also have my two haflas which I organise each year. The first is in March and will be a more traditional affair, whilst my second, held in October for Halloween, is the one where everyone can let their hair down and try something different. More details of these can be found on m Hafla page.